I shouted with all my heart. Really, really loudly. But the sound was still drowned out by the hundreds of other people around me, all doing exactly the same. Glow sticks were held aloft — each illuminated in the same beautiful teal-like color — and being waving frantically to accompany the wall of sound from the crowd as the song ended. I’m not ashamed to admit that tears came into my eyes. Hatsune Miku had just finished singing Glass Wall, the lyrics to which never fail to move me, something I’m confident happens to most long-time Miku fans, and the concert that I’d dreamed of for years was living up to every expectation. 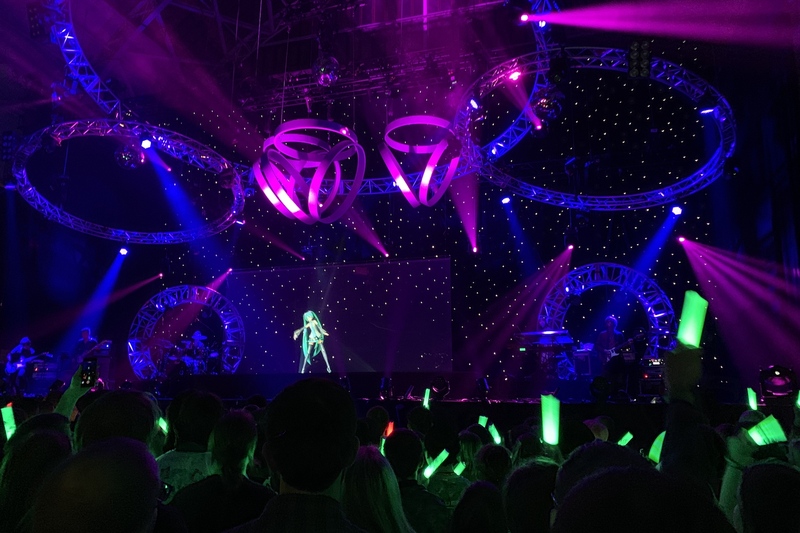 I was at Miku Expo Europe 2018 in London, and this is what it was like. Six months before that moment, I’d managed to buy one of the limited VIP tickets to Miku Expo London. 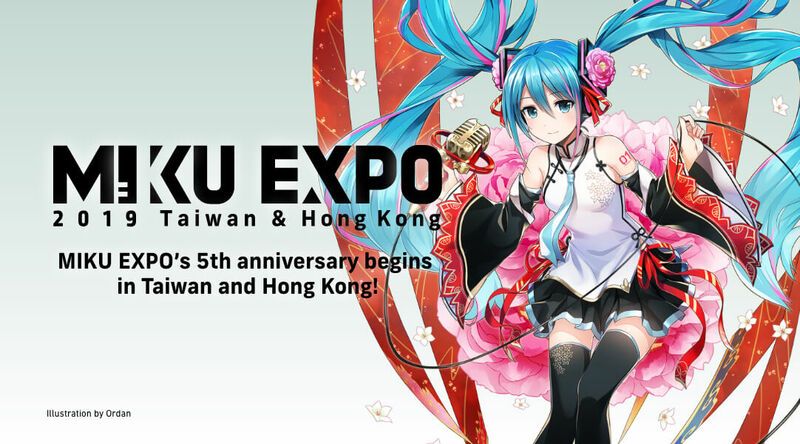 Like many other U.K. fans, I’d looked enviously at the international Miku Expo events, and had never timed my trips to Japan correctly to see a Miku concert there either. Six months was a long time to wait for my first Miku event. 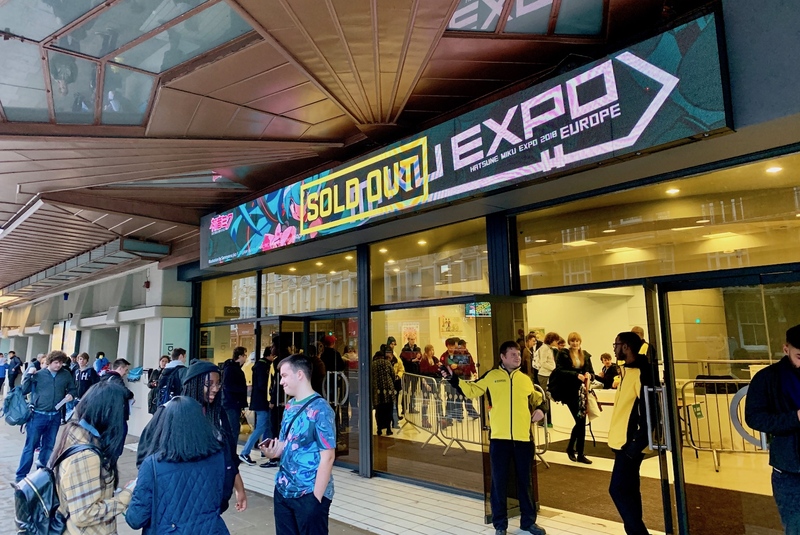 Miku Expo London was held at London Olympia, which is not really a music venue; but it has the space needed to house such a large, energetic — and let’s face it, niche — crowd. Niche or not, Miku fans were out in force. From t-shirts and tables full of plushies, to classic Miku and Racing Miku cosplays, no-one was there by chance, or on a whim. It was especially wonderful to see a great mix of people, of all ages, there to welcome and celebrate Hatsune Miku coming to London. VIP ticket holders stood in a special area right in front of the stage, giving a superb view of Hatsune Miku and the band. It’s a cliche, but there was a genuine feeling of togetherness. The waving of the glow sticks showed a crowd in unison, aware enough of their surroundings to be considerate; but otherwise entirely focused on the music. Miku the center of attention. It may sound strange to some, given it’s not an actual person on stage; but to everyone there, she was as real as the band members accompanying her. We responded to her, cheered her on, and screamed for more. Miku, through the music and animation, seemed to have actual character and soul. In an uncanny way, she almost appeared to respond as if the emotion from the crowd was giving her energy. It’s an unusual experience. I didn’t really cheer for the band members, I shouted for the digital creation on stage. To be this invested, and this convinced by what we saw on stage, shows how much work has gone into making Miku move realistically, and emote in a way we can connect with. It’s a fascinating look at how digital characters are progressing, and what Miku may evolve into in the future. This was my first time seeing an official projection of Hatsune Miku, and while those at the front could see the screen itself, and occasionally the projection leaked out onto the ceiling behind us, it didn’t matter. Miku was perfectly animated, and when entire stage became a star field, the screen was masked very effectively, and Miku took on a new level of independence on stage. How about the setlist? 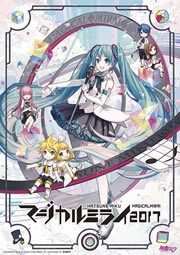 For me it was a great mix of classic and new songs, many of which will have been familiar to Project Diva players; but interestingly the arrangement may have been tailored to a U.K. audience. 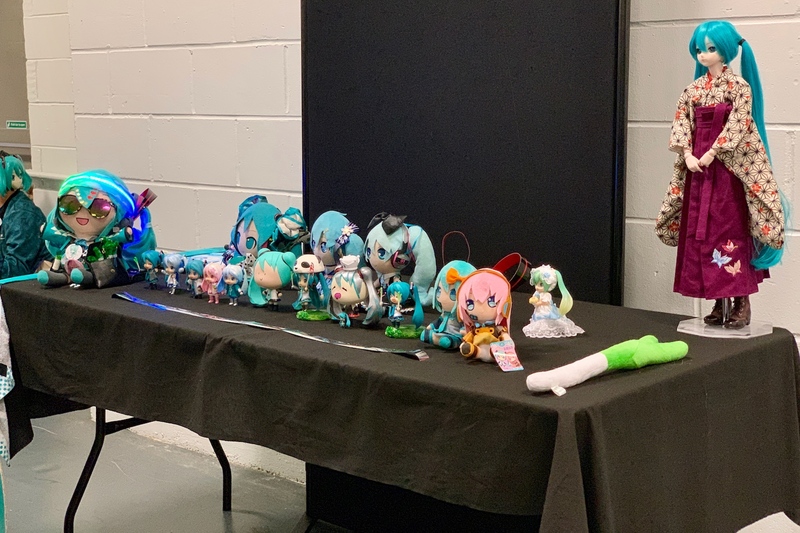 This was brought to my attention by a friend also at the concert, who had attended other Miku events before London, and upon listening to the original songs, several of the London versions certainly had a harder edge. GHPZ’s Glass Wall, with its hard dubstep breaks, had real punch to it, as did Buriru’s Secret Police, and Yunosuke x Circus-P’s Cybernetic. It was the right decision, and these songs created a massive amount of energy in the crowd. There was also a huge response to Tell Your World, and The World is Mine, both featured at the end of the concert and in the encore. Kagamine Rin and Len stole the supporting show with Jiizasu-P’s Remote Control — probably the most fun song of the evening. I’d have loved to hear Odds & Ends, but was happy to with Keano’s Glow, a stunning example of Hatsune Miku’s (and the Vocaloid community’s) musical versatility. The only disappointment was the audio mix, which often saw the vocals drowned out by the band, an odd mixing decision given why we were all there. Some of the more popular songs were also unrecognizable at first, as the bass and guitars obscured the melody. However, all this may have all been down to the inevitably problematic acoustics of the venue, and even my personal position right at the front. These points did not detract from my enjoyment. Yes, I really, really enjoyed it. It was that moment in Glass Wall, a personal favorite, that had suddenly made it all real. The six month wait between buying a ticket and arriving at Olympia, plus the fact I was traveling the day after the concert, meant the excitement had been dulled by the passing of time and the intrusion of real life. But at that moment, cheering for Miku with other fans, glow sticks held in the air, I suddenly realized I was doing something I’d long dreamed of, but didn’t know if the chance would ever come. It was hard not to feel emotional. Judging by the response on the day, London wants Hatsune Miku and Miku Expo to return in the future, and if you’re reading this and have not attended an official Miku concert yet, make sure you’re part of the next one — it really is everything you want it to be. 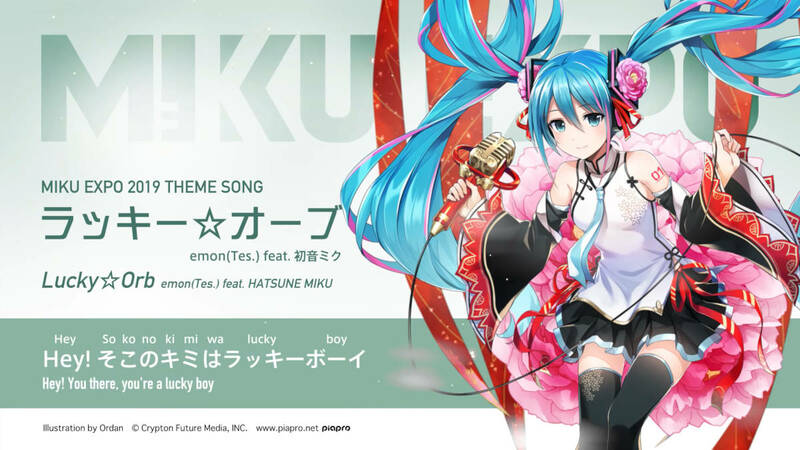 The Miku Expo 2019 theme song “Lucky☆Orb” is now online, and comes from emon(Tes.) nonetheless. The theme song’s official lyric video is now on the official Hatsune Miku Youtube channel, with music video to follow soon. And, while the events are relatively far off, info on VIP ticket lottery and accommodation plan have been added to the official site as of today. More details on the accommodation plans, including plan details and prices, are provided as PDF files on site.